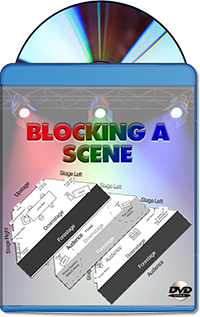 Important attributes of being a good director are described along with an emphasis on working in detail, stage terms, and the purpose of blocking. Discussion addresses key tips to preparing an effective groundplan. Emphasis is on the importance of pre-blocking information and how it helps develop a more successful rehearsal. A short scene is shown in three stages of rehearsal. Shot live, these rehearsal are extremely valuable to the viewer to reinforce the criteria previously discussed on the videotape, provide a basis for in-class critiques of the scene, and give the viewer a sense of confidence in their own scenes.